The nation is having a Terrible, Horrible, No Good, Very Bad flu season. Flu is widespread in 46 states, according to reports to the U.S. Centers for Disease Control and Prevention (CDC). Nationally, as of mid-December, at least 106 people had died from the infectious disease. In addition, states across the country are reporting higher-than-average flu-related hospitalizations and emergency room visits. Hospitalization rates are highest among people older than 50 and children younger than 5. In California, which is among the hardest-hit states, the virus struck surprisingly early this season. The state’s warmer temperatures typically mean people are less confined indoors during the winter months. 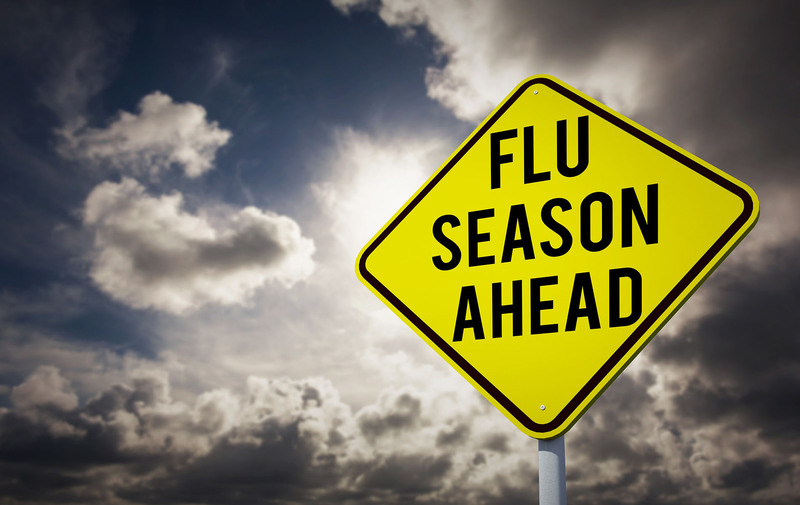 As a result, flu season usually strikes later than in other regions. Health experts aren’t sure why this season is different. 1. It’s shaping up to be one of the worst in recent years. The H3N2 influenza A subtype that appears to be most prevalent this year is particularly nasty,with more severe symptoms including fever and body aches. Australia, which U.S. public health officials follow closely in their flu forecasting — in part because their winter is our summer — reported a record-high number of confirmed flu cases in 2017. Another influenza B virus subtype also is circulating, “and that’s no fun, either,” Bergen said. Flu season in the U.S. typically starts in October and ends in May, peaking between December and February. 2. This season’s flu vaccine is likely to be less effective than in previous years. U.S. flu experts say they won’t fully know how effective this season’s vaccine is until the it’s over. But Australia’s experience suggests effectiveness was only about 10 percent. In the U.S., it is 40 to 60 percent effective in an average season. Vaccines are less protective if strains are different than predicted and unexpected mutations occur. 3. You should get the flu shot anyway. Even if it is not a good match to the virus now circulating, the vaccine helps to ease the severity and duration of symptoms if you come down with the flu. Children are considered highly vulnerable to the disease. Studies show that for children a shot can significantly reduce the risk of dying. High-dose vaccines are recommended for older people, who also are exceptionally vulnerable to illness, hospitalization and death related to the flu, according to the CDC. “Some protection is better than no protection,” Bergen said, “but it’s certainly disappointing to have a vaccine that’s just not as effective as we’d like it to be. Shots may still be available from your doctor or local health clinic, as well as at some chain drugstores. Check the Vaccine Finder website for a location near you. 4. Basic precautions may spare you and your family from days in bed. As much as possible, avoid people who are sick. Wash your hands frequently and avoid touching your mouth, nose and eyes. Masks aren’t particularly effective in keeping you from catching the flu, although they may help keep sick people who wear them from spreading their germs further. If you are sick, cover your cough and stay home from work if you can, Bergen said. Remaining hydrated, eating nutritious foods and exercising can also help strengthen your immune system. Because elderly people are so vulnerable to the flu, some nursing homes and assisted living facilities may limit visitors and resident activities, depending on the level of illness. 5. Don’t mistake flu symptoms for those of a common cold. The hallmarks of flu are fever and body aches that accompany cough and congestion, Bergen said. If you feel as if you’re having trouble breathing, or if your fever can’t be controlled with medication like Tylenol, check with your doctor. It’s even more important for patients to see a doctor if they have a chronic medical condition like diabetes or heart disease, or if they are young or elderly. Kaiser Permanente doctors now are being advised to prescribe antiviral drugs like Tamiflu — given as a pill or, for kids, an oral suspension — even without a lab test for influenza, Bergen said. According to a report in the Los Angeles Times, however, Tamiflu supplies are running low. And Bergen cautioned that these medications are only partly effective, reducing the time of illness by just a day or two.